Sorenson & Company, CPA offers the expert tax planning techniques that only a Certified Tax Coach can provide. With our unparalleled training and experience, we have the ability to uncover hidden deductions and tax credits that will significantly reduce your taxes. We diligently create personalized tax plans to significantly reduce tax liabilities and protect income for highly successful business owners, doctors, dentists, and high net worth families. We are more than accountants, we are highly-educated tax advisors. With our effective, legal, and ethical tax reduction strategies, our clients pay the lowest amount of tax required by state and federal standards. Call Sorenson & Company, CPA at 801-553-1120 to schedule your free consultation today and learn how we can reduce your taxes. As a thank you gift for scheduling a free consultation, we'll provide a copy of The Great Tax Escape*. Bryan has been a CPA since 1997. He graduated from Southern Utah University with a Masters degree in Accountancy. Bryan is proficient in corporate, partnership, and individual taxes. His proficiencies cover most areas of his field, but he is especially skilled in tax planning and compliance. Chris Midgley has been practicing tax since 2002. He has been an EA and enrolled to practice before the IRS since 2008 and practices in the areas of IRS controversy, small business, corporate & partnership tax matters, individual taxation and tax planning. Carrie’s accounting experience began in 2007 when she earned a Bachelor’s Degree in Accounting. Prior to coming to Sorenson & Company in January 2015, she was the controller and portfolio manager for a finance company. She is a Quickbooks Pro Advisor and specializes in Quickbooks setup, cleanup, and training, as well as payroll taxes. Jessie joined our office in 2017. She is currently studying accounting at the University of Utah where she has gained exposure to current business and accounting practices. She also has experience in all aspects of tax preparation. Trudy is our office administrator. Prior to joining Sorenson and Company, Trudy worked as a loan officer for a title company and also worked in the accounting department for a large company. She currently volunteers as the Financial Officer for a large non-profit company. Yisarai, our administrative assistant, is our newest staff member. She is a Mechanical Engineering student at the University of Utah. Prior to working at Sorenson and Company, she worked as a team coach and analyst at a financial service company. 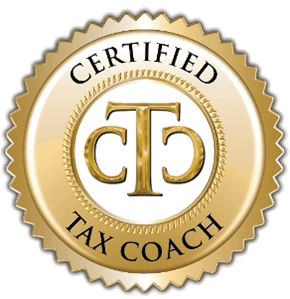 A Certified Tax Coach is specially trained in how to leverage tax deductions and loopholes to dramatically reduce taxes. 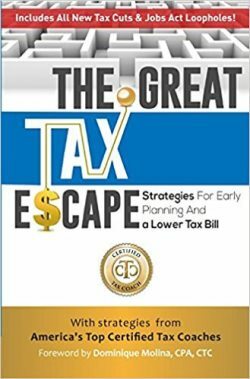 Schedule a free consultation and receive our book, The Great Tax Escape*, as a gift. At Sorenson & Company, CPA, we know how to find the little-known tax deductions, hidden loopholes, and proven strategies that help our clients save thousands each year.